Brightstone Colony, home of Springwell School, has a total population of 92 people including children. We are a farming community consisting of approximately 7000 acres of land, 5000 laying chickens, 1000 farrow to finish hog operation, 28,000 broilers, a plastic bottle manufacturing plant and other smaller businesses. 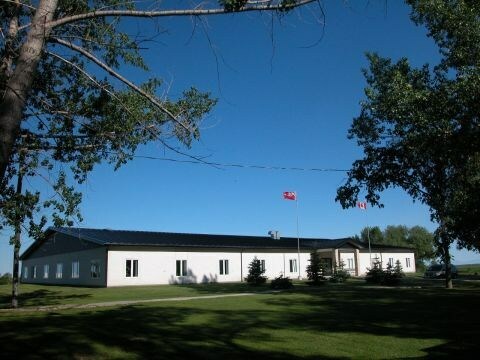 In the past seven years Brightstone Colony has placed an emphasis on higher education and believes that in order for our students to be successful, contributing members of the Hutterite and greater Canadian society they need a minimum grade 12 education. Every student is expected, by the community to graduate with a regular high school diploma and every person is given the opportunity to pursue a grade 12 education. Brightstone Colony, as do many other Hutterite communities in Manitoba, has their own qualified teacher from their community. There are currently two young ladies and one young man from Brightstone Colony attending Brandon University taking courses in education and music.